Pratical and Fun! oh ya.... Thick too. 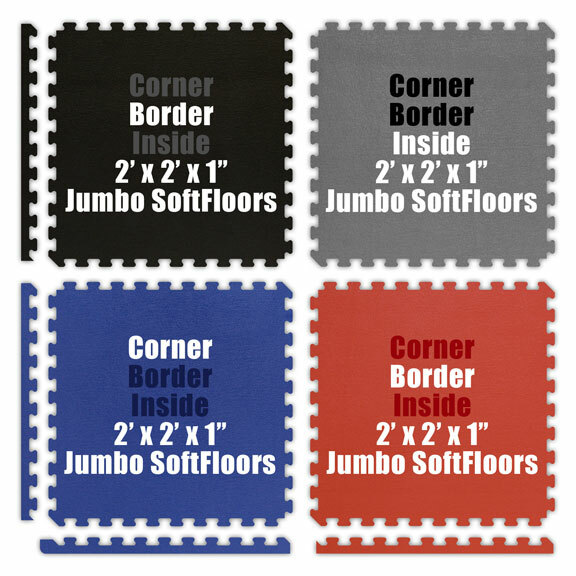 SOFT TILE MATS STRESS RELIEF – KIDS AND ADULTS - JUMBO SOFTFLOORS IN DIFFERENT THICKNESSES & LARGER SIZES. 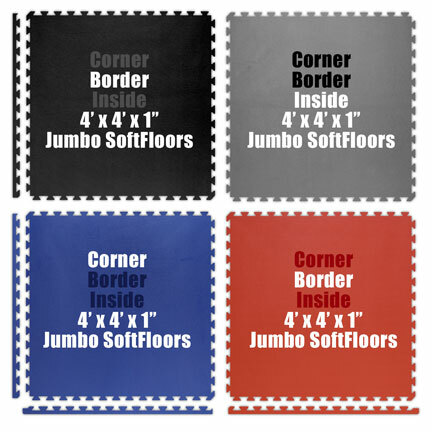 ​Dual Color high density closed cell EVA foam Rubber for impact sports and recreation, that is lightweight, portable, waterproof, soundproofing, aerobic, shock absorbent, insulating, and so much more fun and practical situations. Minimal Order: 10 piece (40 sq.ft.) 26"x26"x9.20", 18.80 lbs. Minimal Order: 10 piece (40 sq.ft.) 42"x41"x4.50", 27 lbs. Minimal Order; 10 piece (40 sq.ft.) 51"x50" x 5.50, 45 lbs.